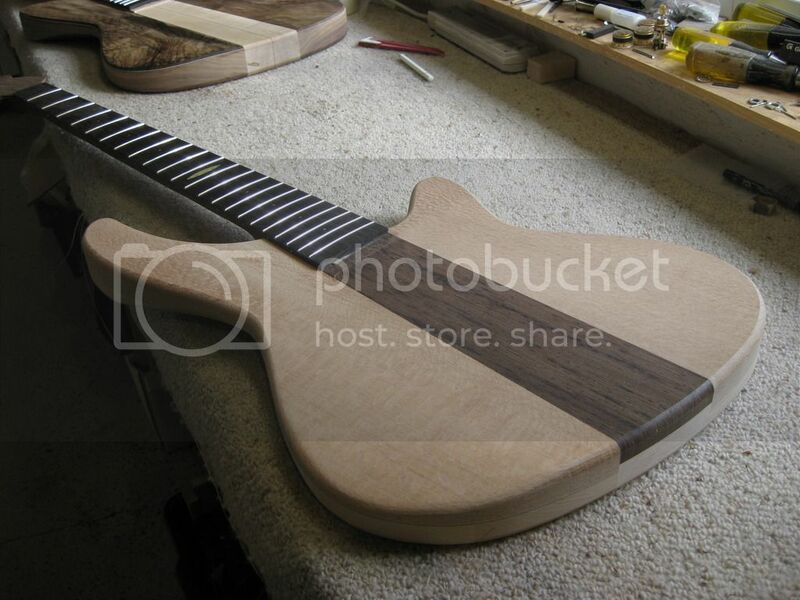 New Double cut PLB5-DC aka 'Silky"
Introducing the last of the 5 string bass series (6 in total) 'Silky'. 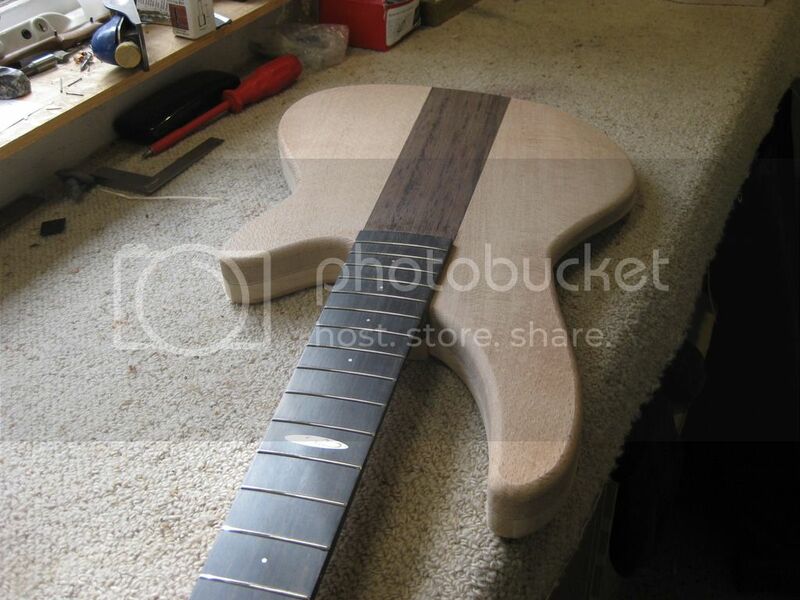 This bass is a neck through construction of wenge, maple tone block and ebony fretboard. The body wings are made up of a nicely figured top piece of Silky oak with a pinstripe of veneer over alder back sections. The silky oak is from Mathews timber here in Melbourne. I found it in the racks and took my fancy for a top section. 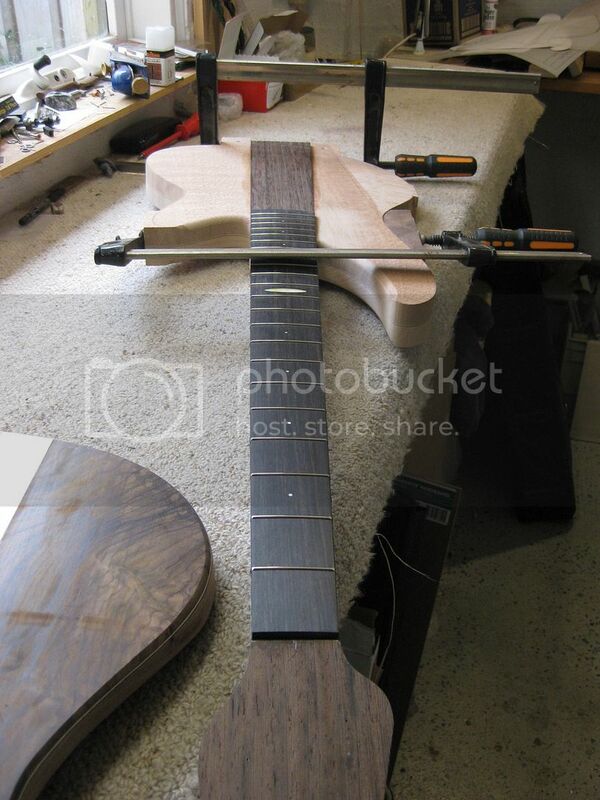 The neck is a 35" scale wenge piece with a beautiful ebony board on it. 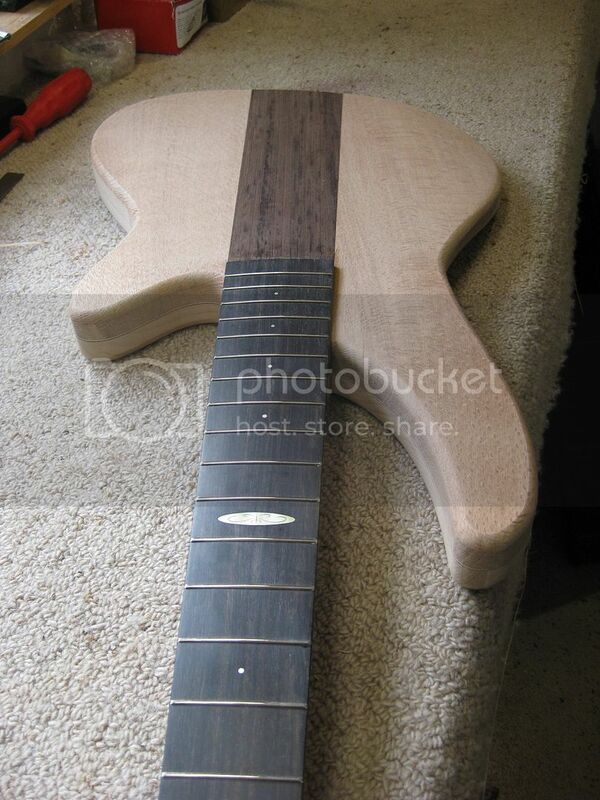 In the Fodera tradition I've backed the neck through with a tone block of rock maple. This should balance the softer sound of the silky oak and alder wings. 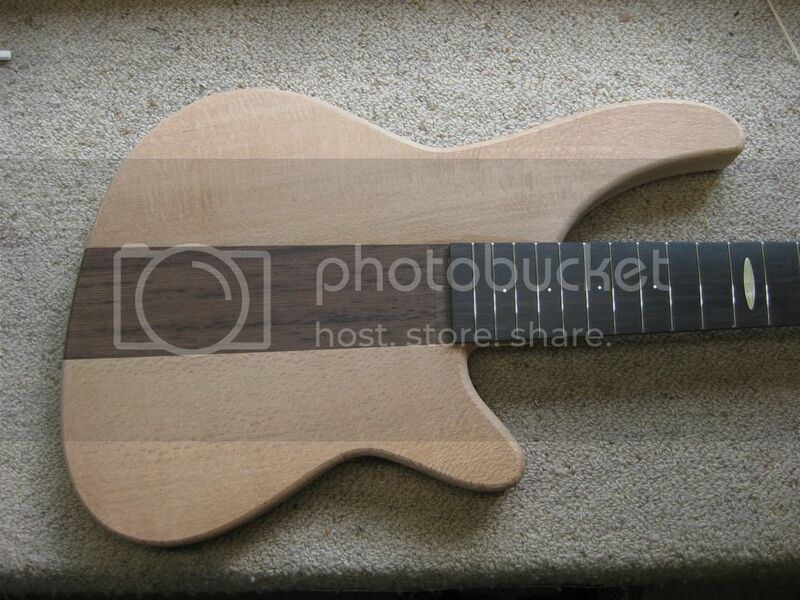 The frets are small as per modern Dingwall and Fodera production basses. 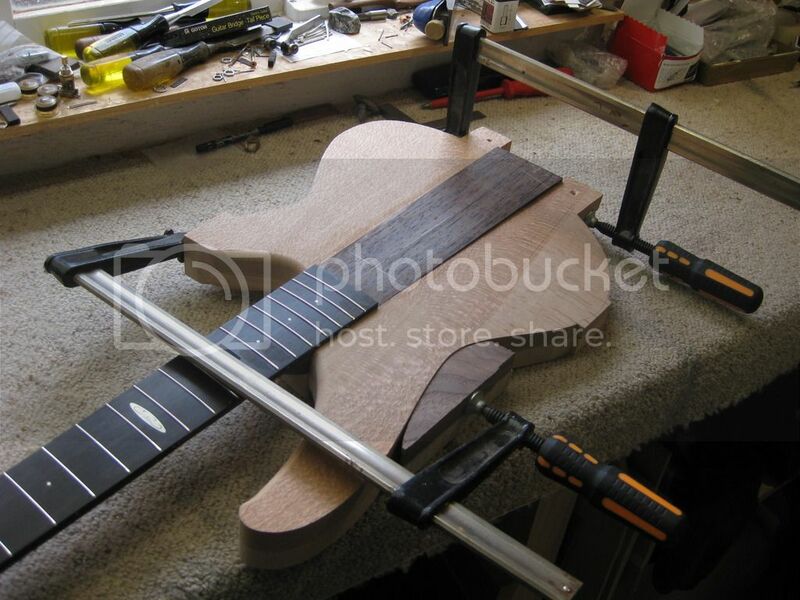 The hardware will be black with a Hipshot bridge and light weight Gotoh tuners. 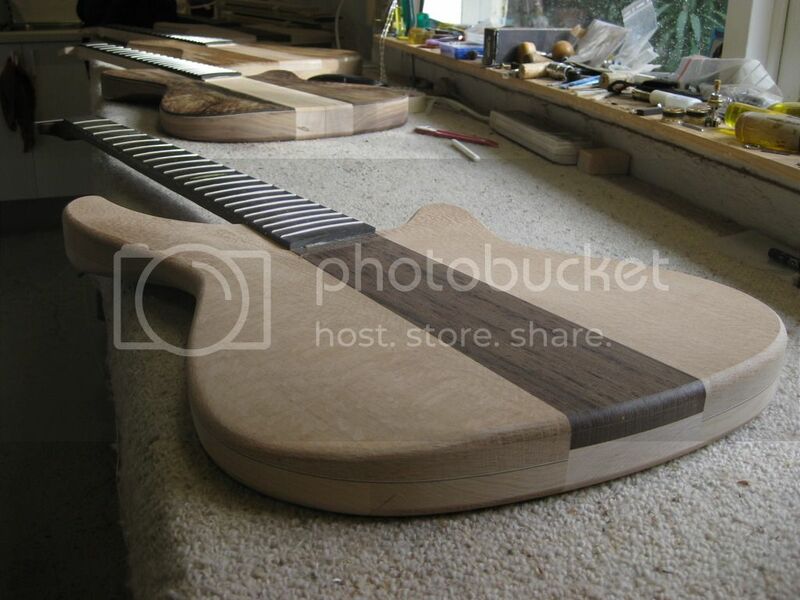 The pickups will be a pair of P2 sized soapbars. 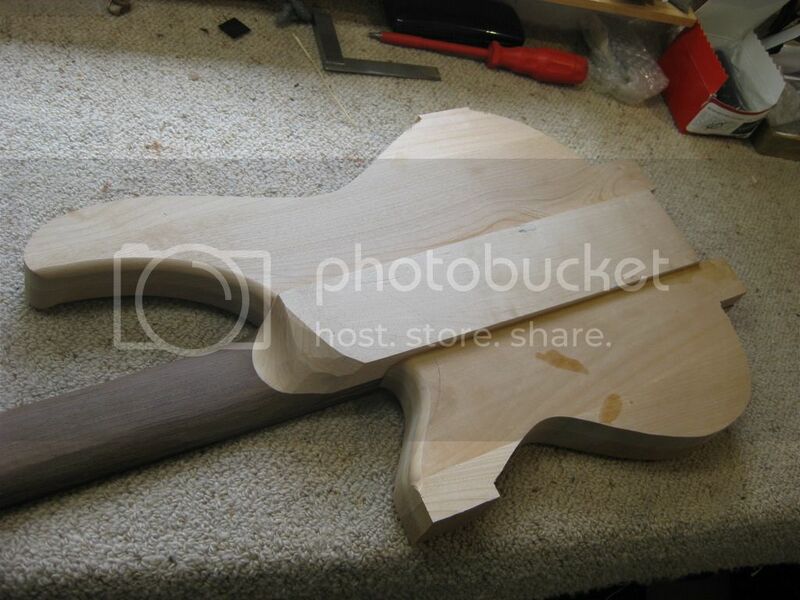 Some shots of the body being glued up. 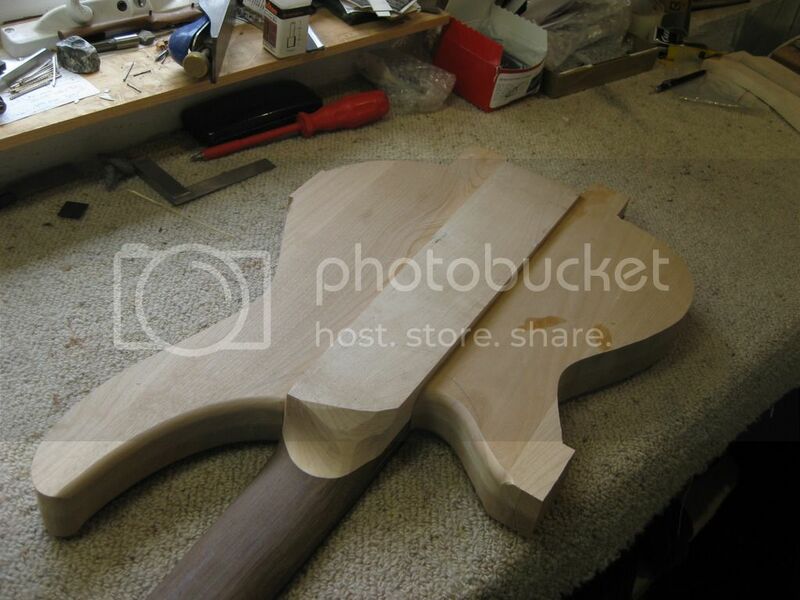 Re: New Double cut PLB5-DC aka 'Silky"
A shot of the body back before machining. Some shots of the body with some machining done. Smooth lines. Looking very nice so far.